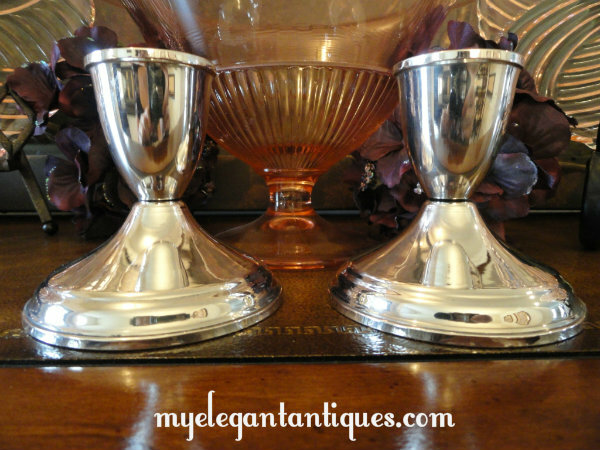 We are offering a lovely pair of Crosby sterling weighted candle holders. 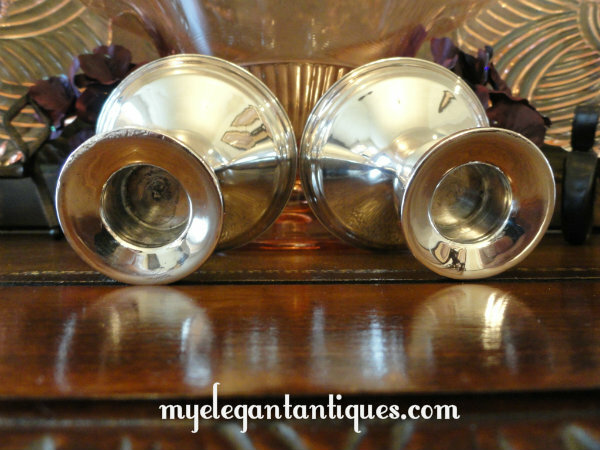 This gleaming set of 2 candlesticks polish beautifully and weigh a total of 13.7 ounces. They each measure approximately 3-1/8" tall, with a base that is 3-1/4" in diameter. Designed with clean, minimalist lines, these candle holders would compliment any setting. 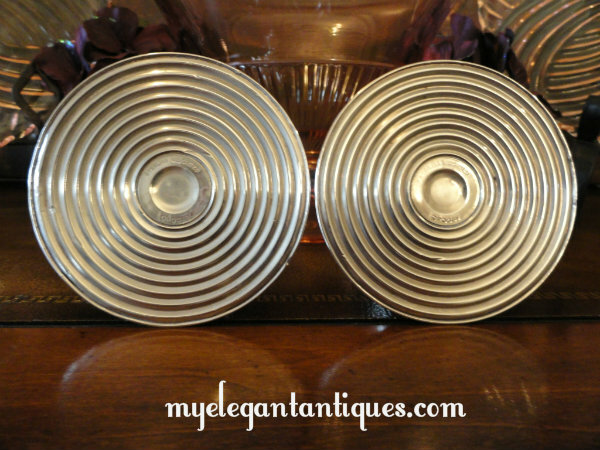 The price reflects their condition, making this wonderful sterling set a deal! 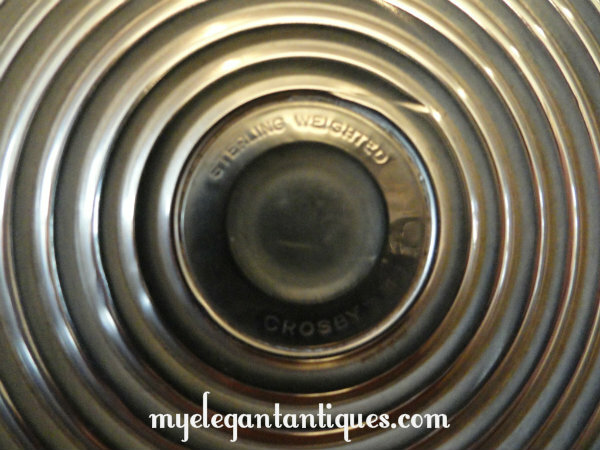 Crosby is the retail mark used for silver and silverplate produced for the wholesalers A. Cohen & Sons Corp., NY, from 1911 to present. We meticulously prepare all of our items for shipment. This beautiful Set of 2 Crosby Sterling Weighted Candle Holders will cost $10.00 to ship within the 48 contiguous United States. For international shipments, please email us with your address at myantiquarians@myelegantantiques.com so that we can calculate your shipping costs.